Miss Popularity relies on a series of clichés and politically incorrect attitudes towards young women that today seem overtly sexist and cringe-worthy. But, these attitudes permeated and defined popular culture when Transogram released the game in 1961. The prize for becoming the most popular? The shiny “loving” cup of course! 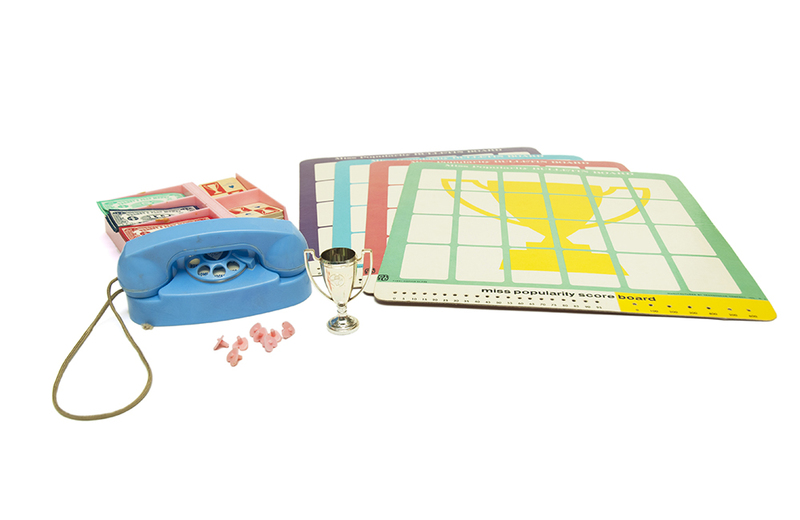 Transogram’s True American Teen Game remained on store shelves for over 5 years, before disappearing in the late 1960s. Released in 1970, Mister Brain was one of the several “tru-smoke” toys from New Jersey-based Remco that emitted “clean, safe smoke” while it operated. To complement the earlier release of its die-cast USS Enterprise (NCC-1701), in 1977 Dinky Toys released a replica Klingon D-7 Class Battle Cruiser.